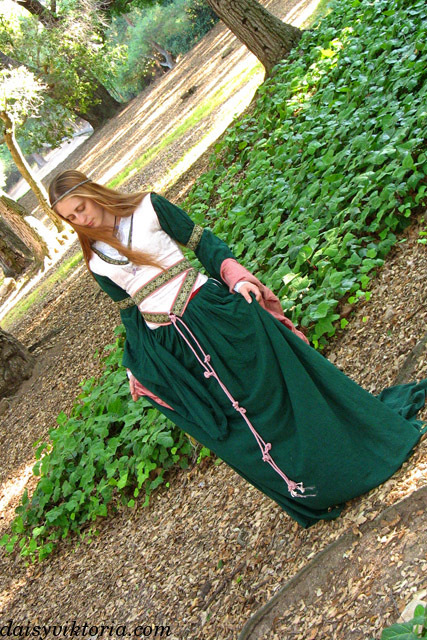 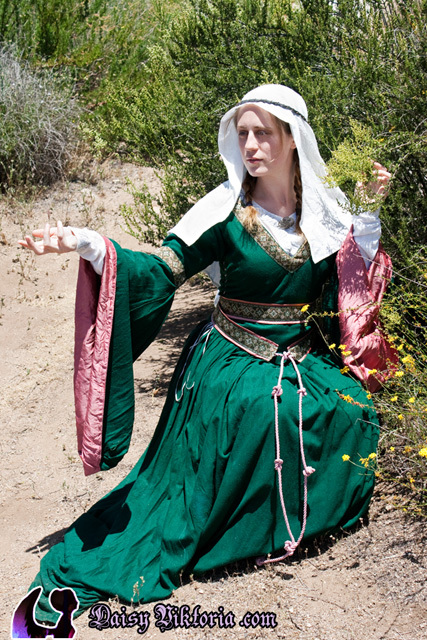 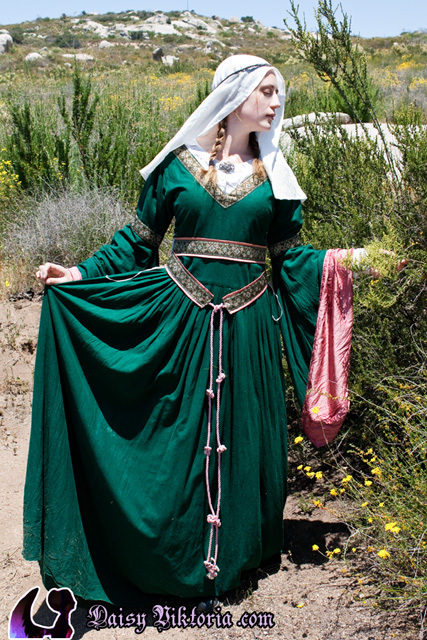 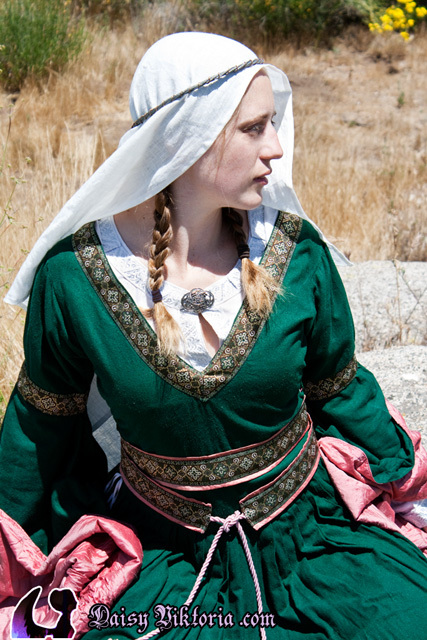 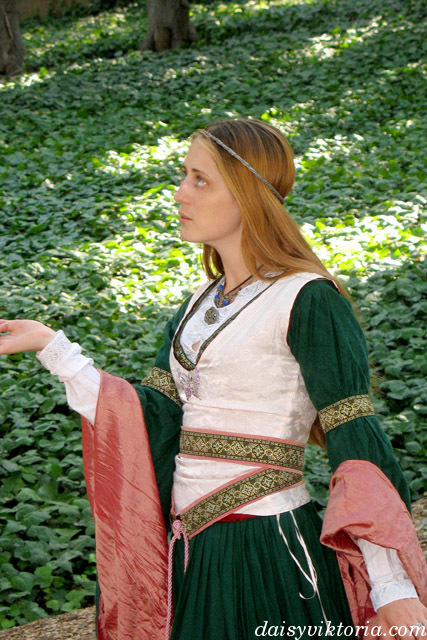 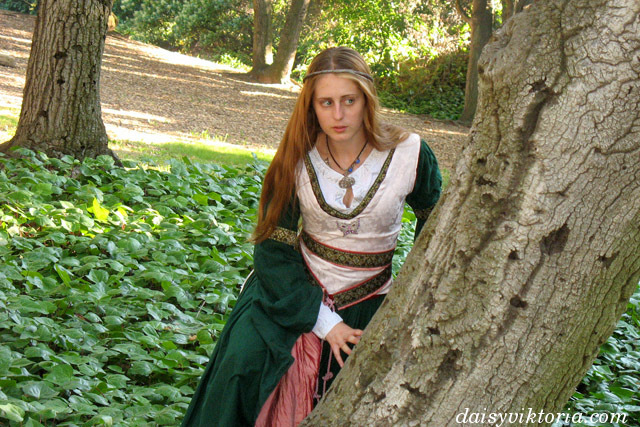 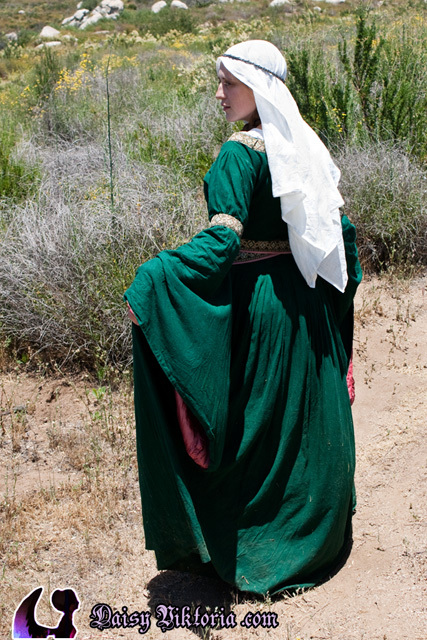 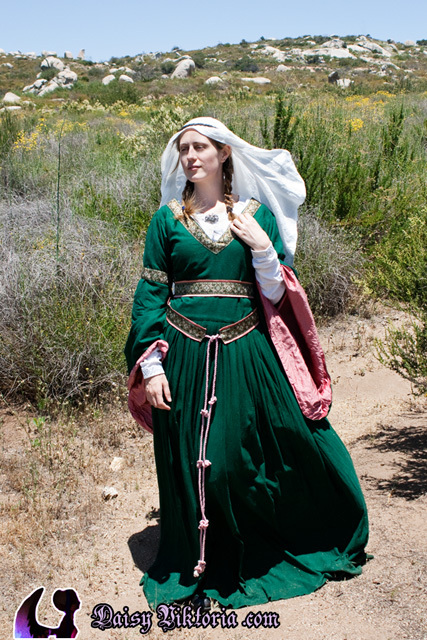 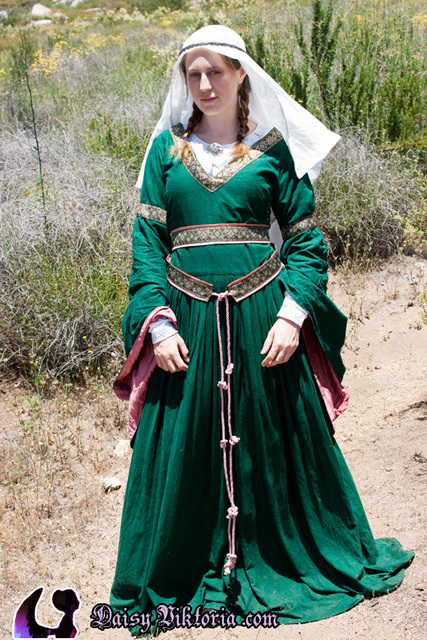 The bliaut was a popular court dress in 12th century France. 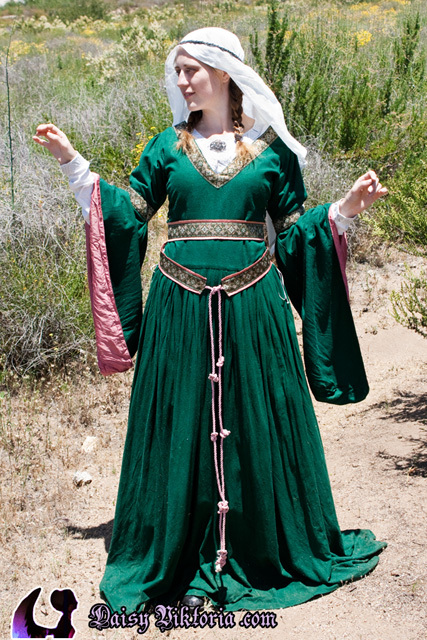 This one is made of emerald green raw silk and lined in pink silk. 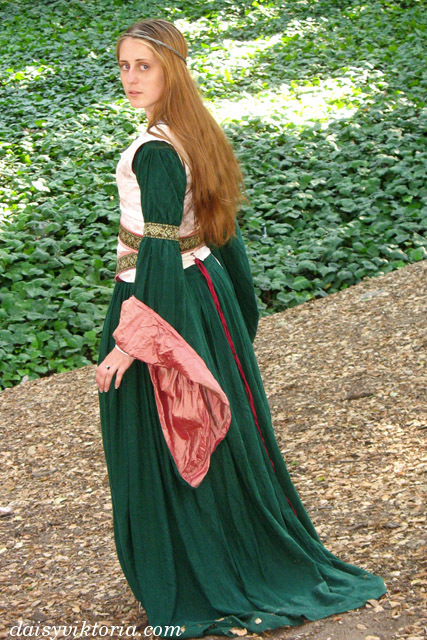 The corsage is made of white brocade and laces up in the back. 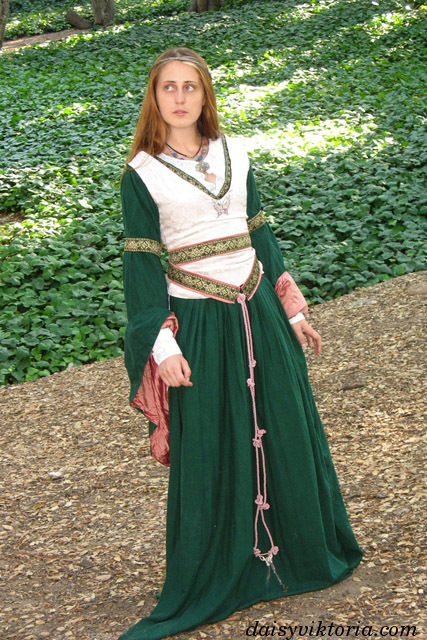 The underdress is white linen, cut in a period fashion, and edged in period-esque trim. 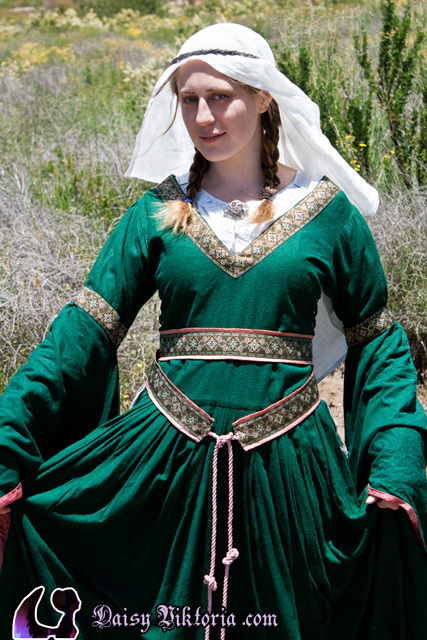 The underdress has a keyhole neckline, which shows above the deep cut of the bliaut.